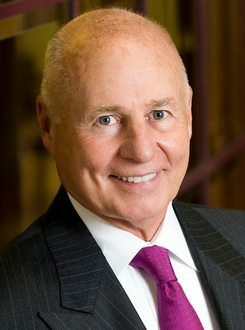 Widely regarded by his peers as one of the nation's top trial lawyers and with nearly fifty years of experience representing victims, Thomas V. Girardi has obtained numerous multi-million dollar verdicts and settlements, handling claims involving wrongful death, commercial litigation, products liability, bad faith insurance, and toxic torts. In 2003, he received the most prestigious honor of being inducted into the Trial Lawyer Hall of Fame by the California State Bar. Mr. Girardi is a Member of the Board of Directors and former President of the prestigious International Academy of Trial Lawyers, an invitation-only worldwide organization, limited to 500 trial lawyers. Mr. Girardi is also the first trial lawyer to be appointed to the California Judicial Council, the policymaking body of the state courts. Selected Verdicts $785 million, Verdict - for Toxic Tort personal injuries suffered by employees in Lockheed's Skunkworks facilities $45.5 million, Verdict - against Ford Motor Company for defective seatbelt which caused 6 year old child to become paralyzed. Mr. Girardi has obtained more than 30 verdicts of $1 million or more and has handled more than 100 settlements of $1 million or more. He has tried more than 100 jury cases, winning the first California medical malpractice verdict of $1 million or more, back in the 1970s.